Would you consider yourself to be a student of the Bible? As Christians, it’s not optional, it’s necessary! 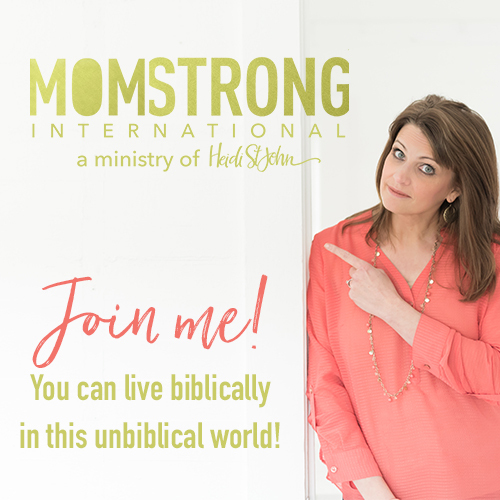 Listen and discover where true discernment and wisdom is found as we wrap up our study on biblical discernment at MomStrong International. 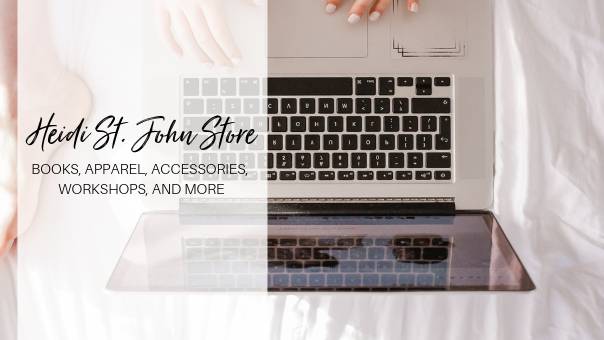 Good morning everybody, this is Heidi St. John – welcome to the podcast! Today is Wednesday, April 24th and this is episode #757. We’re going to wrap up our discussion about biblical discernment. This is an important topic and every Christian needs to understand what it means to discern the truth from a lie. And if you’re struggling to do that, or even if you’re not, and you just need a little more encouragement—stick around, I think you’re going to be encouraged! So thanks everybody for tuning in today. I am so excited that you have joined us. Tomorrow my husband and I are gonna get on a flight to Syracuse and drive over into Ottawa, Canada for the RVHEA Convention. We are so excited to be there this weekend, and I hope that you guys will come out. We’ve been praying about that—that the Lord would really help us to reach His people and encourage them with good teaching which is what Paul instructed Timothy to do, and so that’s what we’re going to be working on this weekend in Ottawa. So come on out for the RVHEA convention—I will be there with my husband to encourage you to walk with the Lord. We’re going to be talking about homeschooling, marriage, you name it—come on out give me a hug! I would love to meet you and hear what God’s doing in your life. Also, I want to say thank you to our sponsor Evangelical Christian Credit Union. I’ve been checking into these guys since I first heard about them and the more I learn, the more excited I am getting—because I don’t know if you guys have been doing background checks on where you’re banking now—but ECCU can stand up to your background check. It’s a credit union that’s been grounded in Christian tradition and they are supporting homeschool families, global missions, pastors, churches, and Christian families by offering resources that can help teach children to use money respectfully and wisely. What I do is encourage you to check out their Start Young program. If you’re interested in teaching your children how to prepare themselves for adulthood—and I hope that you are— you are going to be interested in this program and I think you’re really going to like it. And in fact, what you can do if you’re interested, is you can actually bank with your children. You can bank with your kids, you can grow with your kids— you can open an account for your kids with no overdraft or monthly fees. So when you’ve got tweens, you bank together. And when you’ve got teens they bank on their own but you can monitor it. And so, this is an incredible benefit for you because you can monitor everything that they’re doing with spending limits and alerts— this will help them build trust and reinforce godly values about money. The other thing I love about them is you don’t need to worry about running to a bank or an A.T.M. for cash because you can transfer money conveniently for work that they’re doing—like what we’re doing with our kids out on the road. You can do it from your phone and you can also set up recurring transfers to add money to their account instantly. So it’s a wonderful way for you to help your children learn to manage money. Check them out at ECCU.org/Heidi. Let me know what you guys think! 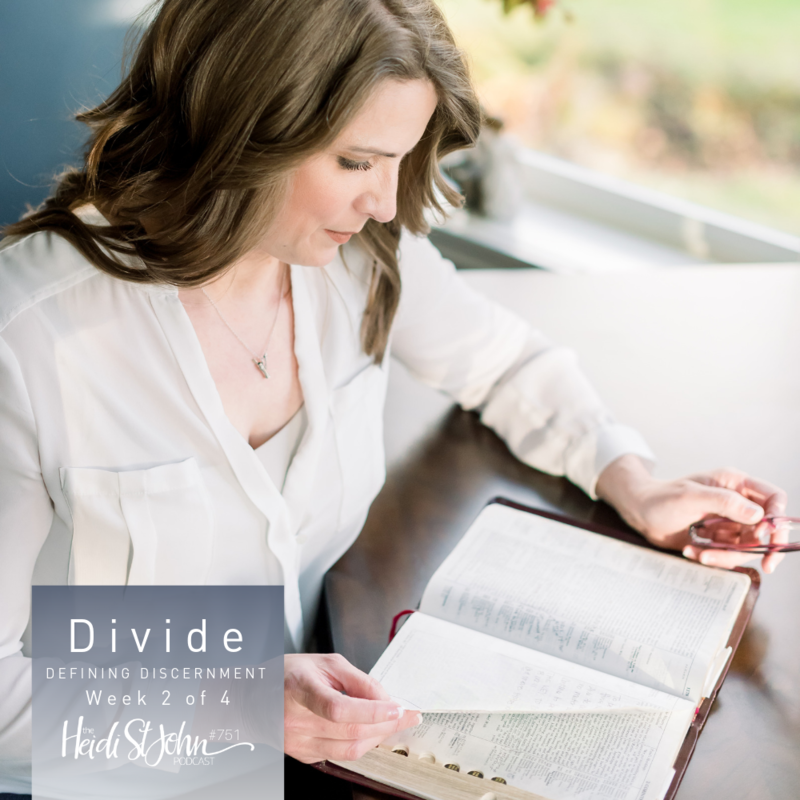 Also, I want to just encourage you, we’re finishing up right now our study on discernment. You guys know how passionate I am about this. The Bible teaches us that we need to be able to discern right from wrong—and so often in the culture, right now, we’re struggling with this concept the Bible teaches us. And 2 Timothy 1:13-14 to “retain the standard of sound words which you have heard from me, in the faith and love which are in Christ Jesus. Guard..”. So now we heard retain and now Paul is saying to Timothy “Guard, through the Holy Spirit who dwells in us, the treasure which has been entrusted to you”. This is week four of the study on discernment. We’re going to talk about learning what it means to be discerning. We started with discern, divide, last week was reason, and this week the focus is on actually learning. And so, we’ve been talking all month about discernment. Discernment is the ability to judge well, to exercise skillful judgment, and distinguish between two or more things. So, a simple example would be the ability to discern blossom buds from leafing buds on the plants in your yard, right? Or to discern a true plant from a weed. Now, here in my neck of the woods in the Pacific Northwest, that’s not that hard to do. And we want to be able to discern them because practical discernment is a useful skill if you’re running a weed whacker where your husband’s planted a clematis vine that isn’t in bloom yet—but it looks suspiciously like those tall weeds that you saw out the back forty. Right? So academically, Webster said, that discernment is the power or faculty of the mind by which it distinguishes one thing from another. So as truth from falsehood, virtue from vice, etc. etc., exercise and skillful judgment. Something that really frustrates me, that I see happening over and over in the church right now, and in the culture—is this idea that we’re not supposed to judge, right? Whenever I get on Facebook and I make a statement—whether it’s about so-called gay marriage or whether it’s about anything it can be any controversial topic. And immediately Christians who don’t know the Word of God will start yelling and screaming saying—you know what? He who is without sin cast the first stone. Judge not lest you be judged. That shows me right away that the people who are speaking of these arguments don’t actually know what Jesus was talking about because they haven’t actually studied it in context—and we have to be able to do that. This isn’t about judging. No one can judge the heart of man—but it’s using wise judgment. You guys see the difference? And wisdom is absolutely necessary in our acquisition of discernment. So even in a non-biblical matter, it’s very important that we are able to discern right from wrong—so we’re able to make a wise judgment, to be able to make a right call—if you will. Right? And so/ we are going to wrestle with our flesh our whole lives. So what we don’t want, is worldly wisdom. What we don’t want, is fleshly wisdom. And when someone studies or acquires botanical wisdom, for example, it can be discerned that the two foot green plant in the weeds is a clematis vine, and then we can go “Oh, I know what that is!” And then we can act on that discernment. Discernment grows from experience. I’m going to say that again— you should write that down. Discernment grows, it comes from experience, and from training, from studying, and observation. Remember we said at the beginning of this study on discernment—Spurgeon said, discernment is not knowing the difference between right and wrong. It’s knowing the difference between right and almost right. So when you trim, and you’re focused on the ground, you only see the tall grass and the fence edge. But if you raise your eyes a bit then you see ties to the fence and indicators at this base that you’re getting ready to take your weed whacker to—is being cared for. And so then, when you see the stricken face of your spouse in a couple hours and you realize, oh my goodness I forgot to raise my eyes, there might have been a lapse in your judgment. And the same experience of training, through studying, is required with the Word of God. So as young believers we read in 1 Peter 2:2 we long for the pure milk of the Word like a little baby who squirms and fusses—latching greedily onto her mother’s breast for nourishment. Milk trickles down a soft cheek and guzzling ensues—you guys know what that’s like, right? Nursing a baby? Feet kick with pleasure and satisfaction. That’s what the Heavenly Father desires for us to experience when we interact with His Word. Now I know that some of you who are listening to this have been walking with the Lord for a long time, but maybe, just maybe, you’ve forgotten how to grow. A long time ago—my husband was a pastor at a church in northern Washington, and Skip Lane was the senior pastor the time. He would always say, Listen, God did not intend for you to sit and soak in sour, in church. He wants us to grow. We are called to grow, we are called to influence the culture around us. So maybe years ago you called yourself biblically literate, and now you’d say the same words—but they would ring false. 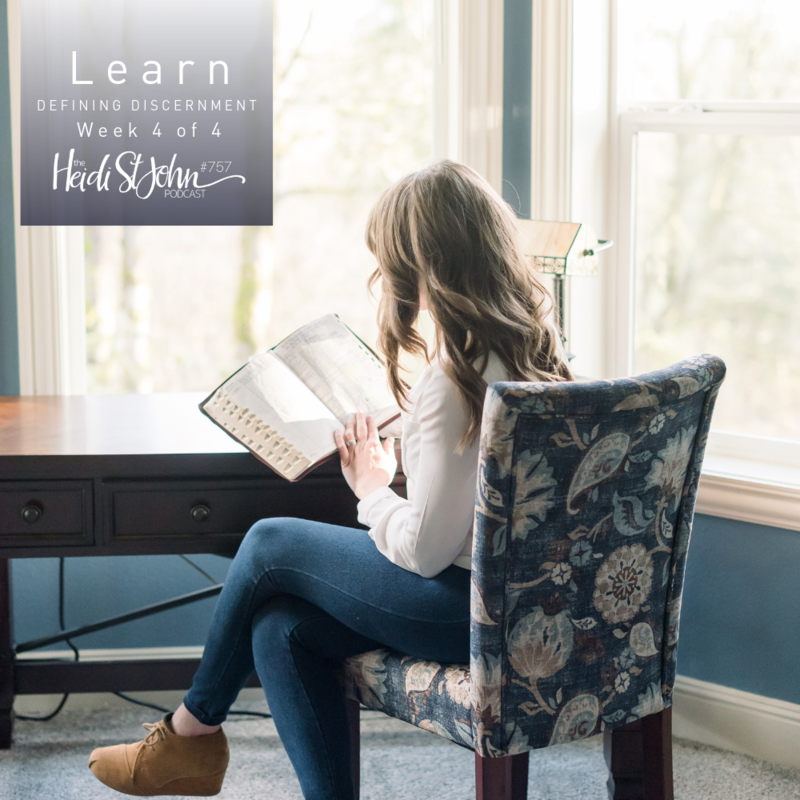 So this week, this last week of our study and discernment—and by the way if you haven’t checked it out, you can still become a member at MomStrong International, you can download the whole study. It’s a wonderful Word study. The Kid Strong section of this study is particularly poignant this time because we’re really trying to teach children how to be discerning from a very young age. And on this last week, of the four week study, we’re going to dive directly into what our enemy is intent on doing—and that’s deceiving an entire generation of believers. So Monday, at mailbox Monday, I spent a little bit of time talking about how we’ve been deceived into thinking because we hear this in the culture all the time that if God is good—then He wouldn’t allow death and suffering. And we answered that question based on God’s Word, and we want to do the same thing today—because I think we’ve grown soft in our knowledge of God’s Word. And what happens is, like an exposed spot—you remember the Lord of the Rings? Remember the dragon smog? And he wouldn’t have been able to be defeated, except for, it was discovered by a little hobbit that he had a soft spot. And I think we’ve grown soft in our knowledge of the Word, and what happens in that instance is we’re exposed it leaves us vulnerable—it leaves us vulnerable to false teachers who are infiltrating our churches in droves right now, and particularly where women are concerned. I feel like I see more and more false teachers who are masquerading around as Christians, and really, they’re just social justice warriors and they’ve sacrificed truth on the altar of mercy. And God hasn’t told us not to love—but we’re not to remove love from truth, because when we do that we’re not actually loving at all. And the only way to guard against false teachers is to know and study the Word of God in the same way that fraud experts learn to detect forgeries—and that’s by virtue of an intimate knowledge of the real thing. I want you to know the real thing. And the real thing is the Lord Jesus, and the real thing is the Word of God. Albert Mohler said this about Biblical literacy, he said: “We will not believe more than we know. He’s right. And some would advocate, some would tell us, that we can call ourselves believers but then don’t feel the pressure of overburdening our consciences by thinking too strenuously in applying a biblical framework for moral matters. Men and women, this is not overburdening our conscience. It’s applying biblical knowledge to modern day situations in obedience to what God has instructed us to do. I believe this with all my heart, and soul, and mind. If I didn’t believe it we wouldn’t be spending all this time at the podcast—we certainly wouldn’t be traveling around the country, would we wouldn’t have been instructing our children through homeschooling. Because I don’t want my children to be biblically illiterate. I don’t want to be biblically illiterate. I want my children to know the Word of God. My grandmother used to say, when I was young, she would say “Heidi, ink your Bible up.” She’s the reason that I write in my Bible. She’s the reason that there are so many notes in my margins that I put dates of times when the Lord has really spoken to me. Sometimes the pages of my Bible are tear stained. There are some passages in the Word of God that I labor over. and pray over. And my grandmother she was ahead of this whole Bible journaling craze, right? In fact link to a couple of Bible journals—I love them. But, she was wise beyond her years —because look what God does with that inking, moms—He raises warriors who are sharpening and shooting arrows for such a time as this. And so, biblical literacy is something we can actually address. We want to be biblically literate. This is the ability to rightly read and understand the Bible, and the very first nugget of this shows itself in our salvation. Did you guys know that? It’s true! Biblical literacy is essential for true saving faith—and so we’ve got to know what God says in His Word in order to be able to see our own sin and acknowledge Him for salvation, right? The Bible teaches us in Romans 10:17, faith comes from hearing. That is hearing the good news about Jesus, right? And so we want to study this and learn why it’s so important for us to be biblically literate. Women, before you start studying anything else—before you learn a new technique in the kitchen, before you Marie Kondo your house, before you pick up the math book, or the social studies book—can I just encourage you? Don’t let your Bible sit on your shelf and gather dust. So often I believe this is true. particular while raising children. were so focused on the small things. You know—what feels like the big things at the time—right? I totally get it, because I’ve been there for many many years—cleaning the kitchen, making sure that their bedrooms are cleaned, make it to the laundry get started, starting on the homeschooling—there are so many things do that feel more pressing and more important than studying the Word of God. But just like Satan deceived Eve in the Garden of Eden, he deceives us. And we buy it. We’re like—oh it’s not a big deal I don’t really need to do that today. You guys, can you remember the moment that the Holy Spirit got a hold of your heart and you realized—oh my goodness, Jesus died for me! I remember it! I remember exactly where I was. I remember that feeling in my in my soul that—oh my goodness He loves me, He died for me. And I was broken for my own sin and filled with a love for Him. And that knowledge, and that understanding of God’s Word. is what spurs us on to accept forgiveness and rightly respond with a YES to God’s invitation of salvation. It has nothing to do with the goodness of God, it has everything to do with our disobedience and rebellion toward God. The Bible teaches us in Romans that just as sin entered the world through one man, it has reached all of us. How do we know that? Through the study of the Word of God—and knowing the Word is necessary if we want to grow in our understanding of God’s character. Teach your children to be able to give an answer for the things that they’re struggling with right now. God’s Word is relevant to where you are right now. And so, in this final week, when we’re studying discernment—we’re going to press into the reality that discernment leans heavily on biblical literacy. In other words, if you want to develop discernment—you’ve got to know the Word of God. And a person can be biblically literate and not be discerning, or wise—but a person can not be biblically discerning or wise without having an intimate deep knowledge of the Word of God. This is important women, this is important men—I want you to grasp this thing and hold onto it with both hands. Because the world is doing everything it can right now to tell you that it’s not important, that it doesn’t matter—and it absolutely does matter. I hope you guys will take some time today, get into the Word of God with me. Check out the Scripture Writing Challenge. We are getting ready to start another study, which you guys are going to love. We’re very excited about it! we’re studying the tongue and the Bible teaches us that the power of life and death rests on the tongue. And how many of us say things that we are just like—oh my word I can not believe that just came out of my mouth. Right? I used to say—Lord help me today keep one hand around my shoulder and the other hand over my mouth. And if that’s you, you’re going to love this study. We’re going to encourage you, we’re going to, I think—just encourage you in how to train your children in how to engage the world—because really we’re ambassadors for the Lord. And just like we want to know what God says about discernment, we want to know—What do you say, Father, about how I’m supposed to speak and what I’m supposed to say? So I want this to encourage you—check it out if you’re not a member at MomStrong International, you can sign up right now! Get ready, because the new Scripture Writing Challenge is going to come out. 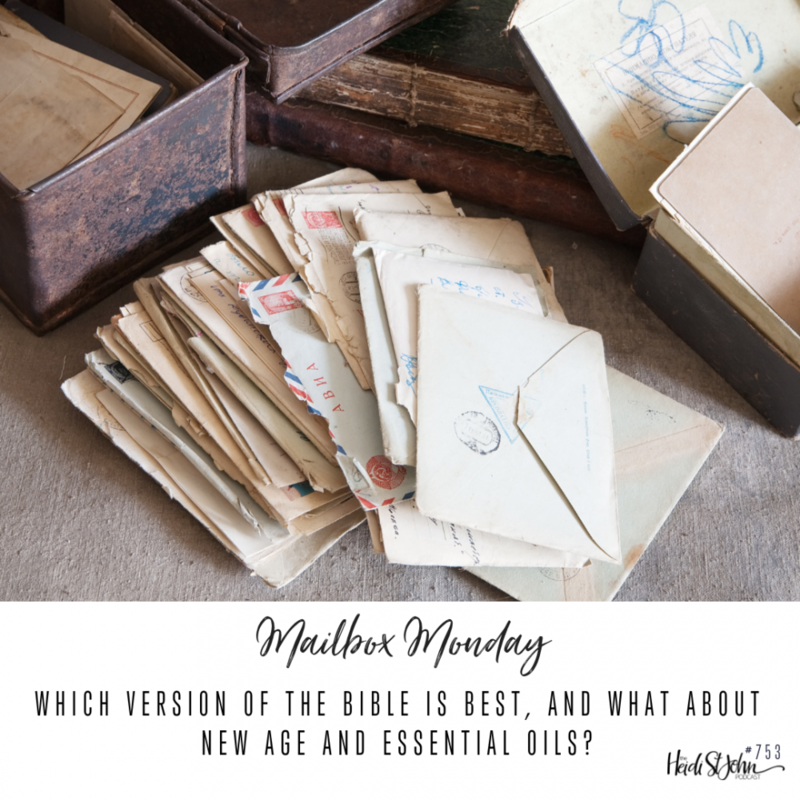 This is how it works over here at MomStrong International—the Scripture Writing Challenge will come out on the 1st of the month, so on May 1st you will see a brand new Scripture Writing Challenge come up for you—so a week from today. And then the following Monday, we always start the studies on Monday—so the study on The Tongue, will start on Monday May 6th. But the Scripture Writing Challenge, which is free, starts on Wednesday, May 1st start on May Day. So check it out, I know you guys are gonna be excited to see what we’re gonna be studying and I know you’re gonna be encouraged. One more time, I just want to encourage you—if you’ve not signed up, now is a great time to do that. Also, I want to encourage you — if you haven’t checked out Evangelical Christian Credit Union, yet check out their Start Young program. It’s amazing! We are excited to be doing that with our own children and just to really encourage them. You can also enter into family banking, and I don’t know if you guys know this—but they have an awesome program called Family Banking at ECCU. Parents who open an account with them, can immediately transfer money from their account to their child’s account—to their start young account. So you don’t have to wait hours or days to transfer your money from another bank to ECCU. So, I wanted to encourage you—check it out. You can reach your savings goals faster, and for a limited time you get 2.75% JPY on a 12 month certificate of deposit. So they’ve got an awesome thing going on over there. 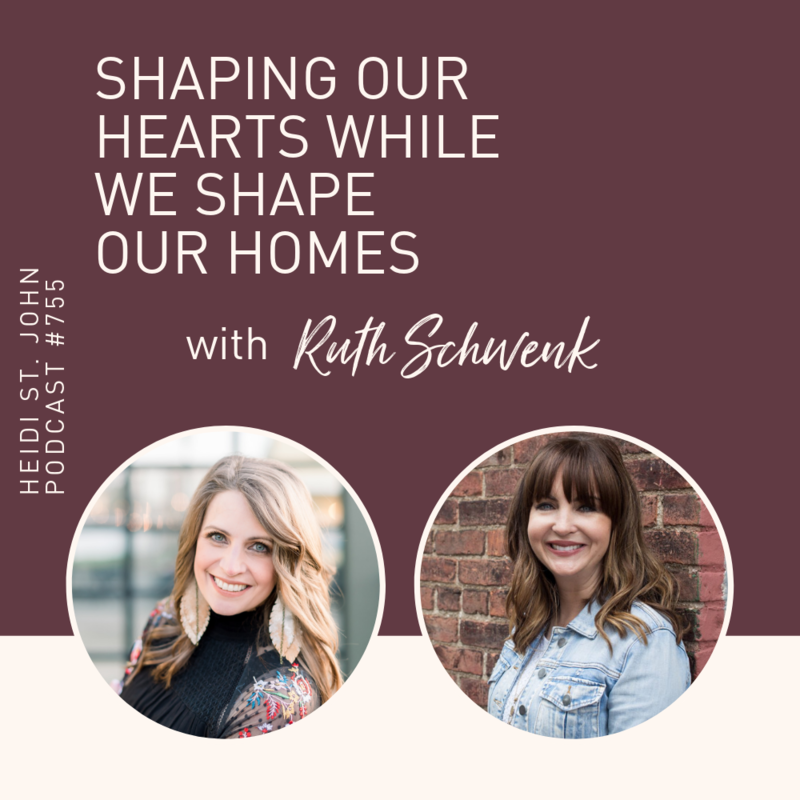 And remember when you bank with ECCU, you’re helping to support missions and churches—and helping them to spread the Word of God worldwide, which is what we are all about here at the Heidi St. John podcast. Thanks for listening everybody. Thank you so much for leaving reviews for the podcast and for visiting our sponsors—it encourages us very much and we are praying for you as you grow in right relationship with the Lord. I’ve got a wonderful guest coming with me on Friday and it’s a surprise you’re not going to want to miss it! So I’ll see you back here on Friday! Why does God allow suffering and death if He is good? It’s easy to forget the “why” of this question, and today at the podcast, I’ll be addressing it from the Bible. Suffering and death is the direct result of our own sin—but God offers hope through Jesus. Tune in and be encouraged! Hey everybody, this is Heidi St. John. Welcome to the podcast. I’m glad you guys have joined me! Today is Monday, April 22nd and it’s episode number 756. 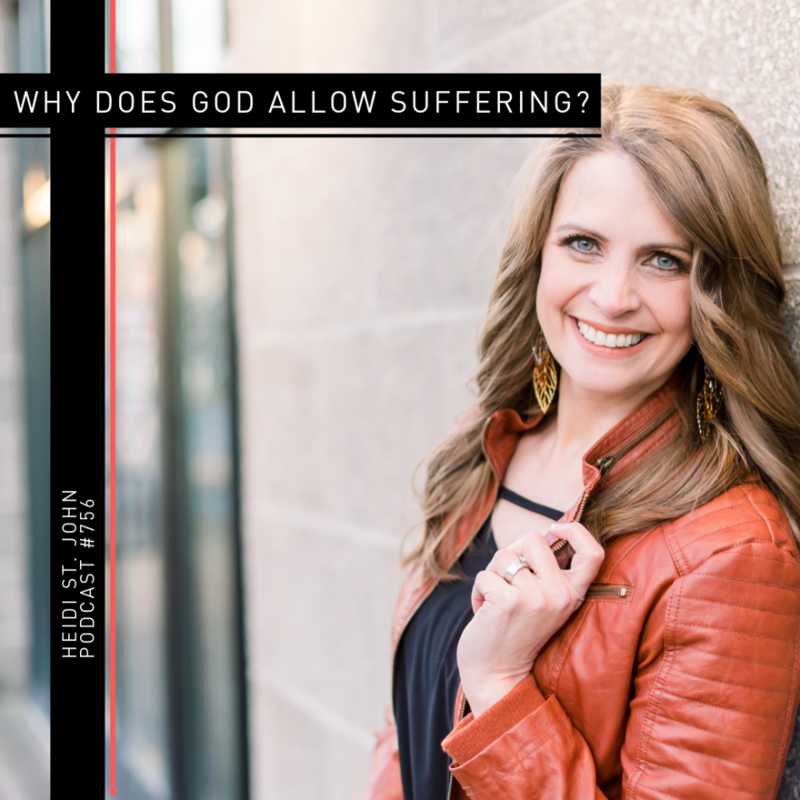 It’s the day after Easter and we’re going to talk about something that’s a little bit tough for us to deal with as human beings, and that is the question of: Why does God allow suffering and death? And basically the question is: Is He good? Is God still good? This is a tough question, but the Bible has the answer. Stick around,I think you’re going to be encouraged. I want to say thanks for following us throughout the country this season as I’m on the road with my family. We have been enjoying meeting so many of you out on the road. We just finished Waco, Texas and drove all the way home. We stopped at the Grand Canyon and oh my goodness – some of the guys were following my insta-stories– I can not even try to explain how incredible that was! It’s just been wonderful to be with our kids. And we’re trying to teach our kids, as we take them out on the road with us, to sort of be adults. We’re not raising children, right? We’re raising adults, and many of you have gotten a chance to interact with our kids. So thanks everybody for being so gracious as we teach our children why it’s important that they learn to interact with people. We want to teach our children to handle money well, and something I’m really excited about as we’ve partnered with Evangelical Christian Credit Union, and one of the things I love about them is, there’s a whole bunch of things – but I’m really excited because they’re a credit union that’s grounded in Christian tradition. And I dare you guys to find anybody that’s like that right now. 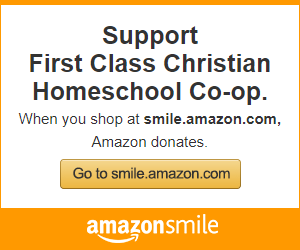 They support homeschoolers – I don’t know if you guys knew that. They support global missions, pastors, growing churches, and families. Something I really love about them, that we’re introducing our own children to, is a program called Start Young. And just like we’re out on the road and you guys are watching us training our children – what we’re doing is we’re preparing our kids for adulthood. Our kids know that we support them, right? But at the end of the day what my husband and I are trying to teach our children is that they can support themselves. The way that you get there is through real world experience. So, I want to encourage you – I will link back to it in the show notes today – check out a Start Young account for your kids where your kids will have access to online banking, even if it’s just a little bit. So when our kids are out on the road with us, every single one of our kids gets a little stipend every single day for their work that they do behind the table. And it’s no joke- because sometimes it’s eight or nine hours at a time behind the table. But I love this because we can open up an account for our kids, they have access to online banking. If our kids are old enough like our 18 year old, he’s going to have a mobile app and a debit card that he can use in person and online. And here’s an awesome fun fact for you: no monthly or overdraft fees. So,it’s an awesome way for you to teach your tweens and your teens how to manage their money and they can start young. So you bank with them and they’re learning. And mom and dad, you guys can monitor everything with spending limits, they even have customizable alerts which – hello! we all need that, right? So I just want to encourage you, check it out. I love Evangelical Christian Credit Union. I know you guys are going to love it too. And if you are like me and you’re trying to teach your children how to wisely handle money, this is a fantastic way for you to do it. All right I’m gonna jump in to the question today which is kind of a tough one. All right. So I got a question- we get this question from time to time. This email was particularly heartbreaking from a young mom who lost a baby to stillbirth. And I have really wonderful friends who have lost their babies to SIDS. I know people whose children have contracted diseases and they’ve lost them in early childhood. We live in a broken, fallen world. And the question always comes up: How can you say that God is good when there is suffering and death and dying around us? Now, some of you will remember that about two years ago – I can’t even believe it’s been that long – but in June of 2017 my nephew Bobby was hit by a car and they said he’s probably going to die, he’s for sure going to be paralyzed, and “just get used to it” is basically is what they told us. And really, it’s interesting because one of Darwin’s chief arguments against the biblical God – and we see this all the time when atheist argue against Christianity – we hear: “why is there death and suffering?” you know, “if your God is so good, then how could He allow these bad things to happen?” And this is echoed by atheist today,and we see it all throughout the public school system, we see it in an increasingly secularized culture that we live in, and the general sentiment is this: people will say there is just no way that a good and all powerful God made a world like this. A world that’s full of death, and suffering, red in tooth and claw, full of deadly catastrophes, and diseases like cancer and Alzheimer’s – and ironically they’re right. And so I’m going to read to you from a couple of really wonderful resources that we have in our own home, and I’ll link back to them in the shown us today. The first one was written by Brian Osborne and Bodie Hodge. The book is called Quick Answers to Tough Questions. I want to encourage you to have books like this in your home so that you can quickly look up and see what does the Bible have to say. Part of my encouragement here at the podcast, over these many years now that we’ve been doing this, is to encourage you off the bench and onto the battlefield. And part of the way that you get off the bench, confidently, is by knowing the Word of God. And there are some wonderful wonderful resources for you to help answer these kinds of questions as they come to you – from God’s Word and study the Word of God. Because ironically these people that make this argument are right – Did God make world like this? Absolutely not. Absolutely not. The Bible teaches us that God made the creation very good. You guys know this, right? You’ve read the Genesis account of creation – in the beginning God created the universe and everything in it, in 6 days. And at the end of His creative process, on the sixth day, the Bible records that God looked around and He “saw everything that He had made and indeed it was very good.” That’s Genesis 1:31. And so when you read this you can see that in God’s really good awesome, amazing, perfect creation the animals didn’t eat each other and thus there was no animal death, right? As God gave Adam and Eve and the animals only plants to eat. This is tough, and I think for those of you who are wrestling with the issue of death – we had something a sort of benign, I guess. Well not benign, but sort of an introduction to death in our family when we came home from our road trip. We have two really wonderful cats that we’ve raised from kittens here, they were rescue animals, and I’m telling you what – my younger daughters have just – they’ve fallen in love with these two cats. We call them Jack and Diane. I’ma let you guys just chew on that. Yes. My husband and I are from the 80s. And so, Jack and Diane sort of are our pets and we love them and when we’ve been on the road for about a week – I got a call from our are our older daughter and she said Jack didn’t come home, and it had been several days. And the days turned into weeks. And now it’s been, because we were on the road almost a month, and so now it’s been almost a month. And Jack’s not coming home and my daughter, the two youngest ones – in particular the 8 year old and the 13 year old who were just really attached these animals, are just devastated. And one of the questions that we asked is – well, where’s God? Why do things hurt so bad? Well the passage shows us, that we read in the Bible, that the original creation was good. And we read in Deuteronomy 32:4 that his work is perfect – and obviously things aren’t like that anymore. And so, if there was no animal or human death when God finished His creation, and pronounced it very good – why do we die now? Well the answer is found of course in Romans 5. Actually, we see the story unfolding in Genesis. We see death all around us today. Even the animals, even the sorrow that comes from losing a pet that we love so much. And we want to be able to talk to our children honestly about the pain that they feel – but we also want to be able to go back to the account in Genesis and explain to them what happened – because we recognize that something must have happened to change the creation from what God said was good. Remember in the Bible He looked around He said it was very good? God looked around and said it was very good. But now, we don’t have a very good creation. In fact,. I think we could argue that we have the opposite of that. There are many bad things that occur in the world right now, right? Earthquakes, flood, wars. And the Bible teaches us that ultimately this is a response to sin. This was a response to sin. Sometime after God declared His completed creation was very good, at the end of the six day one of God’s angels – remember the story? teach it to your children. Lucifer, we know him is Satan he led a rebellion against the Creator. And Lucifer then took the form of a serpent and tempted Eve to eat the fruit that God had said – no you can’t have that. And what happened? He tempted Eve, and she ate it. And she tempted Adam, and he ate it. And Adam and Eve’s actions resulted in the punishment that God had warned them about. The Bible teaches us that God is holy and just, and He will not – He cannot – tolerate sin in His presence. So the just Creator, righteously kept His promise that punishment would follow Adam and Eve’s disobedience. With the rebellious actions of one man – death entered God’s Creation. That’s what Romans 5:12 teaches us, right? Justice through one man, sin entered the world, and death through sin – and thus death spread to all men because all have sinned. And so we know that the reason that there is death and suffering in the world today isn’t because God isn’t is an unjust God. The opposite is true. God is a good God but it was Adam’s decision to disobey ,that brought sin into the world. So then the next question always is: Then how come we all have to suffer punishment? You see, after Adam and Eve were were banished from the garden because of their sin, they began to have children. And each child inherited Adam’s sinful nature. And each child rebelled against against God. Every human being is descendant of Adam and Eve. And we’re all born with the same problem. We’re all born with sin. We’re all born with it. So within a biblical worldview the origin of sin and suffering, now we’ve accounted for it, right? And victory over death, we’ve account for that through the Bible also because God provided a way for us through the death of His son Jesus. And in the end the Bible teaches us that death is going to be destroyed, and that God’s Kingdom will remain established for ever. Look up 1 Corinthians 15:26 and Revelation 20:14. We want to know and to teach our children that one day God’s going to settle the score.One day the world will be made right again. But right now we live in a broken, fallen, painful world. We are separated from God by our sin. And sin is the problem that we have. So the problem if death and suffering comes because of sin. And you guys know that our hope is in Jesus, right? Jesus came to Earth as a man. The Bible teaches us that he lived a sinless life and then He died to pay the penalty for our sin. The apostle Paul tells us in Romans 5 that it was one man’s offence and Jesus came and He set us free from the penalty of sin by His death. You see, God is righteous. We learn this all throughout the scriptures, and justly He sentenced us to die. And so, we received the punishment that we deserve. But God exercised grace, right? – because of His love for us, and He took our punishment upon Himself. The payment for our sin. The Bible also describes death in 1 Corinthians 15:26 as the last enemy that will be destroyed. And I was talking about that to my daughters, just a couple of days ago, that one of these days we’re not going to live in a world anymore where there’s death, and dying, and suffering. In fact Revelation 21:4 says that God will wipe away every tear from their eyes. There will be no more death, no more sorrow, nor crying. There will be no more pain for the former things that have passed away. You see those who receive salvation – we are looking forward to a time when the Lord is going to revoke the curse, and restore the universe to the perfect state that it was in before Adam and Eve sinned in the Garden of Eden. And your children, mom and dad, your children need to understand the story of creation. It matters that we teach our children,starting in Genesis, that God created the world and how it was created. That it was created to be good, He created a perfect world and sin intruded into that world, right? Because the Devil lied to Eve and she bought it, right? He deceived her, and the Bible says that she listened to his lie – and oh my goodness you guys – if we’re not listen to the Devil right now, he’s still lying to us. He’s still deceiving us and we want to be telling our children that there is such a thing as truth and there is such a thing as a lie. And when we do that it provides answers for the suffering. It doesn’t make it easier, so I’m not here to say, oh you know – blow it off it’s easier. No. Death hurts, but the Bible says death wears your sting because as believers death doesn’t carry the sting for us that it does for an unbeliever – because we know that one of these days we’re gonna see those loved ones again who have died in Christ. Right? Because God is just, He must punish sin. He judged Adam’s sin and the punishment was death – and Adam forfeited the right to live, right? And this took place because a man’s rebellion. And so when we talk about sin, and suffering, and death with our children – we talk about it in the context of sin, right? And so God could prevent bad things from happening in this world, but we can trust that because He’s good – He has good reasons for allowing bad things to happen. And this is what we teach our children all the time this is what we declared when Bobby had his accident – Lord we trust you. And my grandmother used to say, “Heidi, you either trust God or you don’t”. He’s either good or He isn’t. We either believe His Word or we don’t. And it is worn out in the way that we respond to the sin and the suffering that’s all around us. The Bible teaches us in Romans 8:28 that God is always working everything together for good. And so we pray that when we’re struggling and suffering – that God will receive the glory for whatever we go through. And one of the most important examples of this is the death of Jesus on the cross, right? This was an evil event and yet God used it to bring salvation to all of us, if we receive it. You see God is always using the things that happen around us – even the hard things – for our good. So I want you to think about this in another way, for just a minute. So let’s think about the question from this from this perspective. Because God is good, He defines – not man, not me, not you. God defines what is good and bad. And so only those who believe in God in His Word are able to declare one event good – for example, the curing of a disease or the birth of a baby – and another event bad, that might be a car accident, or a disease that takes the life of someone that you love, or tsunami that destroys human life, right? So if there is no God, who or what would be the basis for determining good or bad? Well if there is no God – then you are, then I am – and I don’t know about you, but I don’t want to be the person who determines good or bad. Remember I told you, I said this last week on the podcast – and I’m going to keep saying it: The Bible teaches us that God is true. Jesus said I’m the way the truth and the life no man comes to the Father but by me, and people who don’t believe in God don’t have any way to absolutely say that one thing is good and another is bad – because we’re depending on our human experience and our human emotions and what we can see with our eyes. But the Bible teaches us in Psalms, that the heart of man is desperately wicked. And so when we hear of tragedies in any form we need to remember it’s our fault, because of sin, that these things happen and we can look for ways to help other people and we should be doing that, right? We donate to people in need. We travel the country. I love the work of Samaritan’s Purse and organizations like that. That is the job of the church. I have a friend who told me – “listen, if the church was doing its job there wouldn’t be welfare, there wouldn’t be the need for the foster care system – because the church would be doing its job.” So I want to encourage you look for ways that you can help, look for ways to get off the bench and onto the battlefield – but more than anything else we need to pray and ask the Lord to help those who are hurting. We pray for people who are suffering, right? We pray for each other. I know many people right now, particularly this time of year as I travel the country with my husband and our kids, and we meet many people who are suffering – and we need to teach people that God has not turned His heart away from them. God wants to save us from what our sin did. Our sin is the reason that we’re suffering, and it’s in these times, in the times of difficulty, that people need the peace that only God can provide. Philippians 4:7 tells us that people need to understand that God is the true source of comfort in a fallen and cursed world. And I’m telling you what – I’ve said it before and I’ll say it again- I believe that God does His best work, not in the shallow places of our lives, but in the deep. And so if you’re struggling through a deep place in your life right, now know that God is for you. That He loves you, that God said if you had been the only person on the, according to John 3:16, God would have sent His son for you. I love the story of the Good Shepherd who left the 99 to come back for the one. God is good. His heart toward you is always ever only good. And so, if you’re suffering today look up – the Lord is for you, His heart is for you and so are we, here at the podcast. 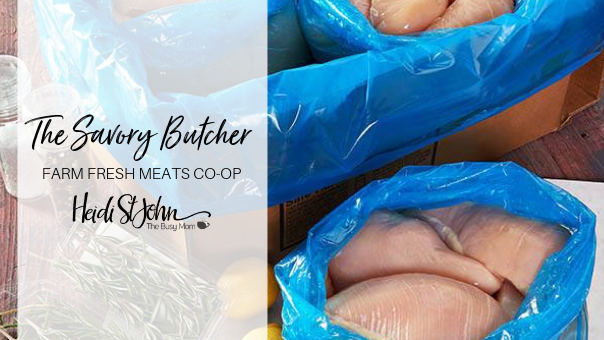 I’m going to link back to some really great resources for you. Some of these questions are tough – but I’m telling you what – God’s Word has the answers. Also I wrote a book about six months ago called Prayers for the Battlefield, I’ll link back to it in the show notes today – it’s a wonderful, wonderful resource for anyone who is struggling to understand why God’s creation includes death and suffering, and also it just is an encouragement to point you back to the Creator, away from our human reasoning, away from the things that trips up – and keep our eyes focused on the Lord. I love that the Apostle Paul, through all of his suffering, at the end of the day said – I have learned to trust the Lord, I’ve learned to be content whether I’m suffering, when I’m in want, or when I have plenty, or when I’m in need – because he knew that God’s heart toward him was good, and he knew that he was just passing through. And so, it doesn’t mean that we don’t hurt it doesn’t mean that we don’t cry – but it means that we know that at the end of the day God is going to make things right and that He is going to return. And the Bible says He will wipe every tear away from our eyes. That’s the God that we serve. He loves you. He loves you. Let your children know how loved they are, and remind yourself today that no matter what you’re going through -God loves you and He can be trusted. I want to thank you guys for listening to the podcast. As always, it encourages us tremendously if you leave reviews for the podcast over it at iTunes. Tell your friends about it! We just hit 50000 downloads an episode! So as you can imagine, it’s quite a lot of bandwidth that’s going out here and it just encourages us so much if you will share the podcast with your friends. And I also really want to encourage you to support the podcast sponsor Evangelical Christian Credit Union. You guys can find them at ECCU.org. I know you’re gonna be encouraged because it’s a positive change from a biblical approach to banking, and one of things we love about it is when we bank with ECCU – our money does more than grow! Those guys are on a mission to change the world – off the bench and onto the battlefield. Thanks for listening everybody. And I’ll see you back here on Wednesday. My friend Ruth Schwenck is joining me today and we’re talking about being in the word. Ruth ‘s heart is that her book reaches each mom where she is and does the most important thing – points her to Jesus. When we make time with Jesus a priority in our lives, we will see that it changes us. It’s worth it. Ruth Schwenk is the founder of the popular blog, TheBetterMom.com, and along with her pastor/author husband, Patrick, RootlikeFaith.com and FortheFamily.org. 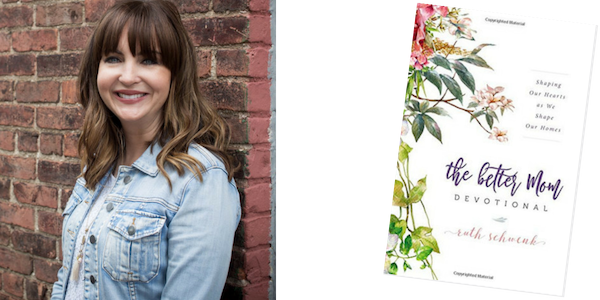 She is the trusted author of several books with Harper Collins Christian, including Settle My Soul, Pressing Pause, For Better or For Kids and The Better Mom Book and Devotional. Ruth is a Michigan football super fan, a self-proclaimed “foodie,” and lover of all things HGTV. But her greatest joy is her family. She lives with her husband, four children, two pesky hamsters and their loyal Labrador retriever in the beautiful, college town of Ann Arbor, Michigan. Many Christians today have fallen victim to a dangerous trend in the culture: we are using emotional reasoning to address spiritual issues. Listen in today as I discuss week three of our study on discernment and learn why we must never allow our emotions to determine truth. Parenting teens is one of the most challenging seasons of parenting, isn’t it? While this can be a difficult time of transition for parents and teens, there is hope. You can parent well and build a stronger relationship even through the teen years. Join me today for an encouraging talk with my friend, author and speaker, Connie Albers. Connie Albers has been a mom for 32 years. She is a popular speaker and writer dedicated to strengthening families, parenting, homeschooling teens, faith-filled living, and leadership. Her practical content inspires and equips parents in the trenches. 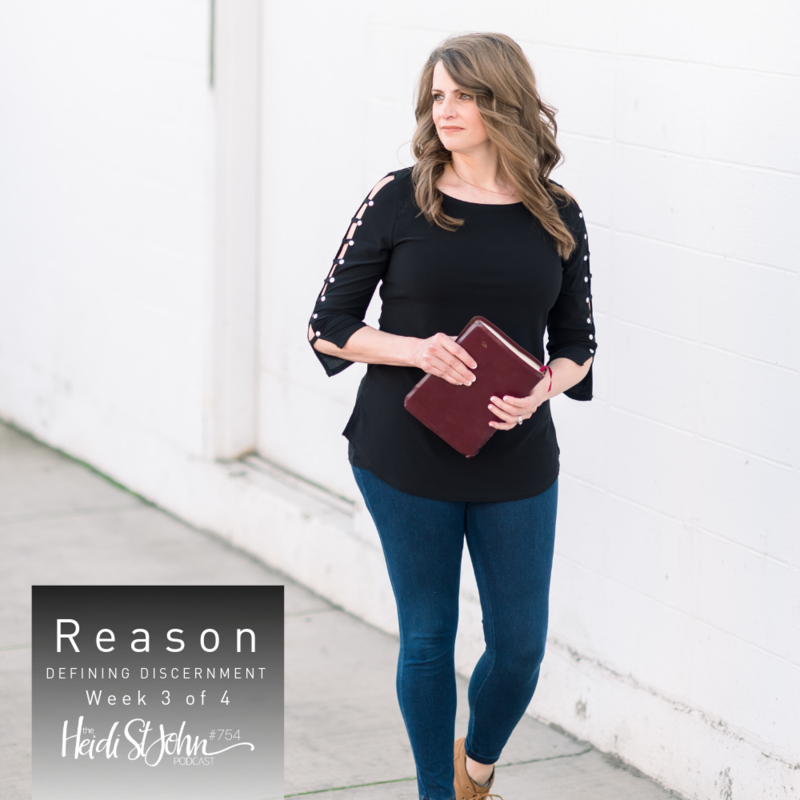 Connie has been a spokesperson for a Fortune 500 company as well as serving as a director and board member for a nonprofit state homeschool organization. 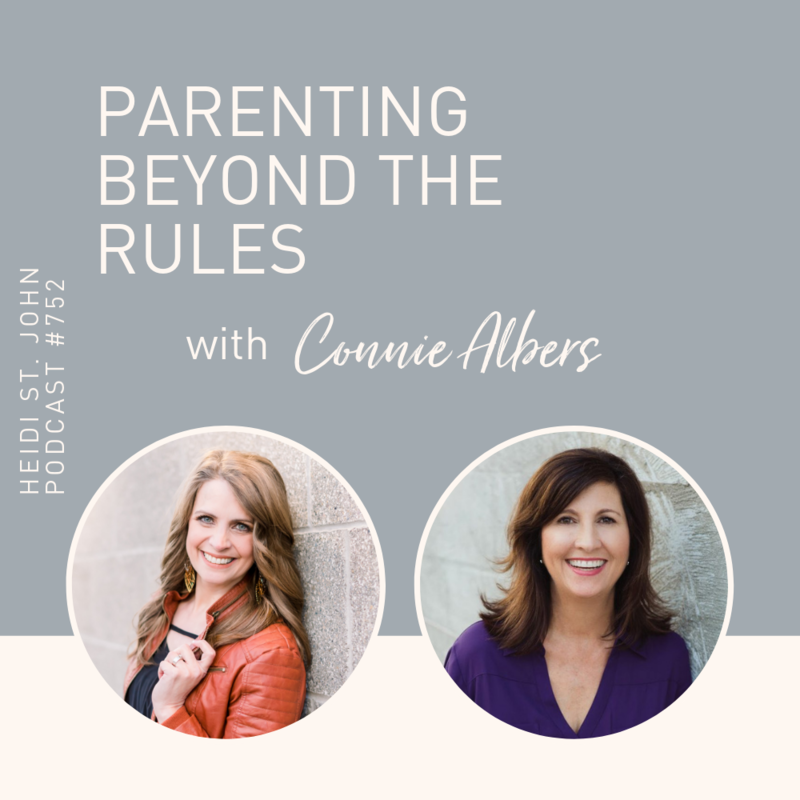 After 30 years of parenting five children and 20 years of working with teens, Connie Albers has witnessed the negative impact of well-intentioned but misguided parenting styles, all focused on managing teens rather than guiding them. But through learning to focus on the hearts of your teens, you can avoid those pitfalls and build relationships that last beyond the transition years as you intentionally learn about, connect with, and listen to your teens. In a world filled with distractions and devices, it is possible to guide their hearts and remain the primary influence in their lives. 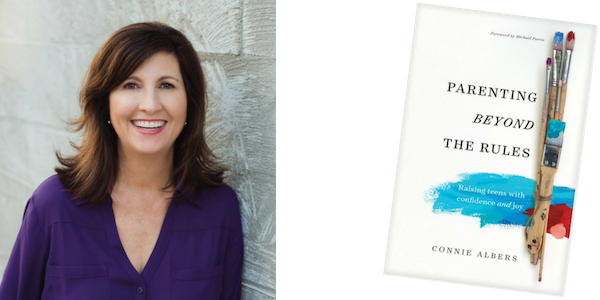 In Parenting beyond the Rules, you will discover how to raise a teen according to his or her strengths, talents, and personality type, as these things equip teens to manage life.Join Connie Albers in discovering practical solutions for every parent trying to raise a responsible, godly teenager.